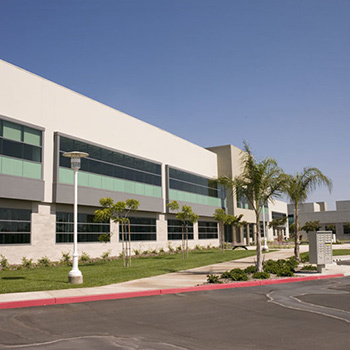 Getec Industrial, Inc., based out of Torrance, California, has been providing thermal management solutions and premium aluminum extrusion services since late 90’s. We are a full-service turnkey manufacturer providing turnkey aluminum manufacturing services such as precision metal stamping, rapid prototyping, and custom CNC machining for aluminum just to name a few. We have provided innovative, advanced, thermal solutions such as custom aluminum extrusions, custom heat pipe bending, aluminum heat sinks, and many other products and services for industries such as aviation, telecommunications, commercial and retail electronics, LED lighting, energy and more. Getec is your full service, turnkey manufacturing company that handles a combined annual capacity of more than 975 metric tons extruded aluminum. Our production operations consist of 300,000 square feet of manufacturing and warehouse space; machinery for aluminum extrusion, CNC machining, metal stamping; a complete plating facility; and much more. Our state-of-the-art facilities provides for the end-to-end design, manufacture, customization and distribution for all of your turnkey aluminum manufacturing needs. We refuse to outsource any part of this process to sub-contractors and tightly control our manufacturing process. From casting our own premium aluminum billet to our onsite extrusion, die fabrication through machining, finishing, and assembly Getec is your one-stop shop for turnkey aluminum manufacturing. Where most companies refuse to take on any aluminum extrusion projects under two tons, Getec embraces these smaller jobs that require additional attention. Whether these are complex aluminum profiles, or products that require a rapid turnaround, Getec is ready to meet the challenge. The experience and knowledge of Getec’s engineering team is second-to-none and when you combine this with our long-standing commitment to provide our customers with practical, high-quality, and cost-effective thermal management solutions. You receive world-class thermal management solutions that meets or even exceeds your high standards every single time. 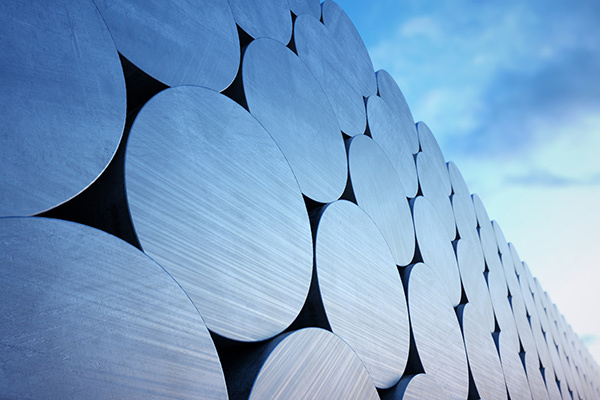 Contact one of our turnkey aluminum manufacturing experts for more information about how our products and services can solve your thermal management problems. Give us a call at 888-999-8499, email us at info@getecna.com or complete our simple online contact form for a consultation and quote for your specific application. Learn more about our premium aluminum billet casting process from our Thermal Management Solutions division. Find out why we cast our premium billet from pure aluminum ingot and why this provides superior results for our customers. Find out how the Getec Advantage in turnkey extruded aluminum services and products benefit your thermal management project. Discover how Getec Industrial’s turnkey extruded aluminum services and products can be the thermal management solution you have been looking for. Check out some of our extruded aluminum heat sinks designed to handle heat transfer in a variety of electronics and applications. Give us a call at 888-999-8499, email us at info@getecna.com or complete our simple online contact form to talk to one of our thermal product solution specialists today! We specialize in aluminum heat sink manufacturing for turnkey support. We oversee every aspect of the engineering, including the casting of our aluminum to the extrusion process of the fabrication stages. In focusing on perfecting the machining and finishes processes, we deliver unmatched quality. As a top thermal management solutions company in the industry, we provide cost effective solutions for any specific need. As aluminum heat sink manufacturers, we recognize the importance of having reliable machining solutions for every industrial need. Our turnkey manufacturing heatsink services and products meet the highest performance standards. 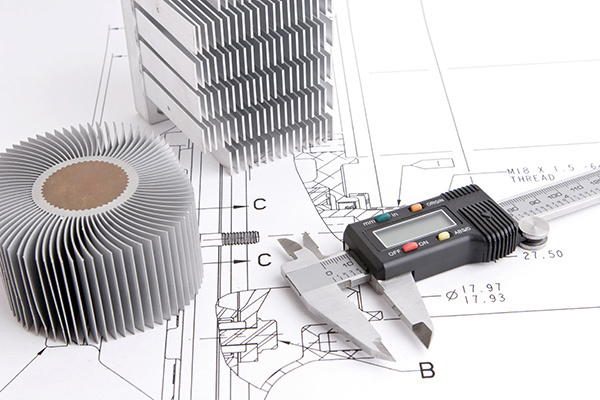 With decades of experience as aluminum heat sink manufacturers, our company has quickly become the trusted resource for thermal engineering services. In becoming the leading provider of specialty engineering services and products, we have had to focus on several key aspects of the engineering process. In streamlining our extrusion, die fabrication, machining and other processes, we can offer some of the most cost effective solutions available in the marketplace. Our priority is to deliver high-quality products and services with the fastest lead times available at some of the most competitive prices. Our team of professionals offers the latest in thermal engineering support. We can accommodate any research, design and development needs. We can even provide testing and prototyping services with the quickest turnaround times. Our finishing, machining and fabrication services can be developed to meet any project requirement. As heat sink manufacturers, we recognize the importance of choice when it comes to meeting custom specifications. We have worked with hundreds of different shapes and varieties of sinks. Experienced machinists with years of training perform cutting, de-burring and finishing for pieces before sending to our team of quality assurance specialists for final inspection. We can accommodate high-level production volumes and satisfy the most stringent deadline requirements. In working with us for your comprehensive CNC machining, finishing, forming, die casting and other thermal engineering needs, customers can rest assured they receive superior, fully compliant products of the highest integrity for their fabrication requirements. Contact Getec Industrial at 888-999-8499 or email us for information at info@getecna.com. Because we refuse to outsource our work to sub-contractors, we tightly control the quality of your project allowing us to meet (or even exceed) your requirements. Because we oversee every aspect of the project, from initial design to product assembly, we can easily make changes on the fly to assure that your products meet your specific needs. Our process is just as important as our products. At Getec, not only do we bring the latest technology to manufacture your products, we bring our engineering know-how and our streamlined, time-tested process for extruding, machining, finishing and assembling your thermal product solutions. This results in a considerable reduction in project lead time when compared to our competitors. We also provide quick turnaround prototyping which allows you to test out your designs to help you determine if your design meets your needs before beginning full-scale production. What does this mean? It means that using premium-grade aluminum billet produces premium grade aluminum products, and these create innovative thermal management solutions at faster turn-around times. How Can Getec’s Turnkey Manufacturing Solutions Work for You? Reach out to one of our turnkey manufacturing experts by giving us a call at 888-999-8499, email us at sales@getecna.com or complete our simple online contact form to discuss your project and get a quote for your specific application.